Most people know they don't want cavities, but do you know what causes them and can you tell when you have one? Cavities (also known as dental caries) start as a small hole in your tooth and may become a bigger, more painful problem if you don't get it treated. When you can identify the first signs of a cavity, you can visit your dentist and get it treated so you don't let it turn into a bigger problem that requires a more advanced treatment, like a root canal or extraction. One of the best ways to find cavities before they become a bigger problem is by scheduling oral health exams and professional cleanings at DentalWorks in Columbus, OH. Using state-of-the-art equipment like digital x-rays, a dental professional can diagnose cavities that have already formed as well as areas with weak enamel that are at high risk. However, if you're in pain or have other symptoms of a cavity, you may want to visit your dentist as soon as possible. TOO COLD, TOO HOT, NOTHING'S JUST RIGHT! Are you starting to sound like Goldilocks whenever you try to eat or drink? Dental sensitivity is an early symptom of a cavity. You'll usually experience mild, but noticeable pain whenever you try to enjoy something that’s cold, hot, or sweet. When you have a cavity, the hole in your tooth will allow air and other irritants a path to the tooth's nerve. This nerve can be jolted by extreme temperatures, which is a clear sign that you have a cavity that needs to be fixed. If you can no longer enjoy a steaming cup of joe at your favorite café in Columbus, OH without feeling tooth sensitivity, tell your dentist during your next appointment. If it hurts to chew on one side of your mouth, that is definitely a red flag. 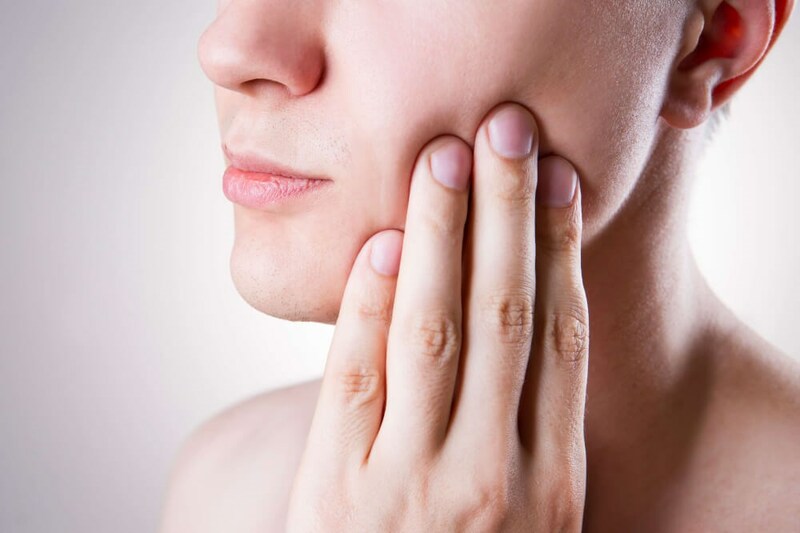 When a tooth is even mildly sensitive to touch and especially if it cannot perform its essential function of chewing your food, this is an indication that you need treatment right away for a cavity or other dental condition. You may think you don't need to go to the dentist since it doesn't feel that serious. While a certain amount of decay is probably already present, you can avoid bigger problems with proper care. Over time, the cavity may cause your tooth to change colors or develop spots. Brown or black spots on a tooth is a visible sign of a cavity. Whether or not you have any other symptoms of a cavity, a tooth that changes colors is a clear hint that you need help from a dental professional. Even if you’re not bothered about how your smile will look with spots of discoloration, you need to be concerned about your oral health. Visit DentalWorks in Columbus, OH to have the problem causing discoloration diagnosed and then treated for restored oral health. After enough time without treatment, you may be able to see pits or a hole in your tooth from a cavity. When you see or feel a hole in your tooth, you need to have it checked out. Do not wait for your regular visit. The problem should be looked at while you still have some treatment options. Otherwise, the tooth will need to be removed before it can infect your teeth and gums. If you still don't get the cavity treated, the infection can even spread from your mouth to your blood and impact every aspect of your health. HOW DID THIS CAVITY GET HERE? Like your stomach, your mouth has different types of bacteria, both beneficial and harmful. Bad bacteria, typically from food and drinks with a high sugar content, when it isn’t removed quickly with proper brushing, turns into plaque on your enamel. Acid in these plaque formations erode the enamel on the outside of your tooth and make it weak and thin. Eventually, a cavity appears in the enamel. Since the molars in the back of your mouth have plenty of crevices on the top that are great hiding places for bacteria, most cavities are found here. Your risk of cavities can be reduced if you rid your diet of foods and drinks that have a high sugar content or are highly acidic (including soft drinks and citrus juices). Brushing and flossing your teeth two times a day can also help reduce the risk of getting cavities. Patients at high risk for developing cavities should ask about treatments that can help to prevent decay like fluoride rinses and dental sealants. When you visit our practice in Columbus, OH with specific concerns, we will start with a physical exam to assess your teeth. Your dentist may recommend a series of digital x-rays to help us diagnose the cavity and determine the spread of the decay beyond the surface of the tooth. As soon as your cavity is identified, we’ll develop a treatment plan. In most cases, the cavity will be cleaned out then the hole is sealed with a tooth-colored filling. The composite resin used for the filling will be shaded to match your natural teeth to keep your smile looking beautiful. If the tooth cannot support a filling or you need more coverage, you may need an inlay, onlay, or crown. An advanced procedure, like a root canal, may be needed if the infection has gotten into the interior area of the tooth, known as the pulp. Daily brushing and visiting the dentist twice a year are the best way to avoid cavities. However, if you have symptoms of a cavity, contact DentalWorks in Columbus, OH. Stop suffering from toothaches and sensitivity; our compassionate team will do everything to make your visit easy and get you the treatment you need. If you have dental fears, ask about our many sedation options to help keep you relaxed as we restore your dental health with an advanced treatment plan.